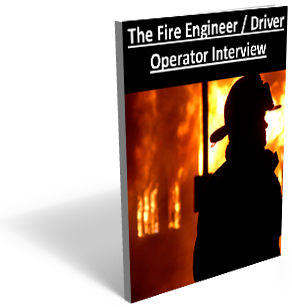 The Fire Lieutenant interview is very similar to the fire captain interview. The interview questions and answers will go hand in hand. In some departments Lieutenants function just like Captains do. While the roles of these positions may vary from department to department, the interview questions are nearly identical. Lieutenants are faced with the same issues that Captains are: discipline, training, chain of command, etc, etc. Here are some of the more common Lieutenant interview questions. These questions are straight out of our Fire Officer Interview ebook. Please outline the very first meeting that you will have with your crew as a newly promoted fire officer. You have been asked to develop a training plan for a probationary firefighter. Please give the panel a brief outline of what your plan would look like. What was the biggest mistake you have ever made on an emergency call? Please describe the Incident Command System. Where do a Lieutenant fit into this system? These are great questions and just a sample of the over 80 interview questions we have assembled for our book. 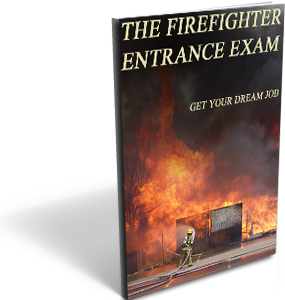 If you’re looking for the best way to prepare for your fire lieutenant interview be sure to check out our ebook. I purchased the ebook last week and read through all of the material and study questions. Its a large bank of questions that pretty much covers anything they could throw at you in an interview. I am very pleased with my purchase, thanks Jason. Good ebook, short and sweet. There are a lot of good interview questions in it. I actually had my interview last week. I had 14 questions, 10 of them were darn close to questions in this book. Very happy with my purchase, thanks Jason. Lots and lots of questions, good purchase, good way to prep. Studied these questions for 3 weeks before my Lt. test. 11 questions were asked, 9 of them were in this guide. Awesome ebook. A++ tons of questions lots of great tips. 1st off amazing customer service. I was dumb and tried to download the book on my phone, which didn’t support .pdf format. I emailed Jason and within 15 minutes I had another download link sent to me. Thanks Jason. I would call myself a very well rounded firefighter. I’ve been in the fire service for 9 years and have been fortunate enough to have worked with very seasoned crews who taught me a great deal. My biggest weakness is verbalizing my ideas when I’m put on the spot. I’ve always had a hard time with interviews. I bought this book 2 weeks before my Lt. interview and practiced answering the questions for 2 hours each night. I made my wife interview me. I rehearsed over and over. I had 10 questions in my interview, 9 of them were in this ebook. I absolutely smoked my interview. 2 days later I got the call and I am now a newly promoted Lt. Jason, top notch product, thank you so much. To make this review short and sweet. . . buy this guide if you want a long list of interview questions to practice. I wanted a way to practice interviewing, this was it. Huge list of questions that are very good. Great way to prep. Great customer service. Really long list of interview questions. Its very easy to practice with them and make them fit your department. Happy with my purchase and a big thanks to Jason for his work. I initially had download problems on my phone, but he worked with me to get everything going. Thanks ! Wow what a list. Having all of these questions makes prepping for the interview pretty easy. Very good ebook. Nothing bad I can say about this, its exactly as advertised. Really big list of interview questions, detailed guide through the process, good system to study by. Almost all of the questions asked in my interview were in this list. I went over these questions for 2 weeks before my interview. Its a long and detailed list. I was asked 9 questions and 7 of them were in this list. I had a download issue but Jason fixed it within 30 minutes. Great customer service, great product. Studied the list of questions and practiced every night. Almost all of the questions in my interview were listed in this guide. What more can you ask for? Great list of questions, easy to study and make fit your department. I was asked 10 questions in my interview and 8 of them were in this guide. Very pleased. Every single question in my interview was in this book. Good work jason. This makes studying for the interview very easy. I studied for 2 weeks hard. My interview was honestly pretty easy since I knew almost every question that was asked. Very pleased. Its a ton of really good questions. Almost all of them were asked in my interview. I had a download issue with my work computer. Jason replied to me help email within 10 minutes. Great customer service. Thanks! Excellent set of interview questions and great customer service. Very good study material. I bought the book, studies for two weeks, and had my interview. I was asked 12 questions, 11 of them were almost word for word out of this book. Fantastic list of questions. Downloaded perfectly. The majority of the questions in my interview were covered in this book. Very good book, concise and to the point, lots of good questions. Will this book apply for Volunteer Orals also? I was number 3 in my rule of 3 interview for a Lt. position. I purchased this book and studied the questions for almost three weeks. I studied hard, really hard. I took each question and tried to think how my department might use it. After going through them over and over I felt ready. I had 11 questions in my interview and 10 of them were covered in this guide. I scored a 97% for my oral and ended up getting promoted. I emailed Jason the question that was not in his guide. I can’t say enough about the book. Thanks. This was a good guide with a lot of questions. If you’re looking to find some excellent study material, this is it. The book has a lot of really good questions in it. When my interview came I really felt like I had already answered every question they asked me. The repetition of studying and answering questions really gave me an added level of comfort in my interview. Having that stress minimized really helps you focus and think clearly. Its a great way to study, my interview is next week. I will post again with how many questions were covered in this guide. Good guide, lots of solid questions. I was unable to download it to my laptop after downloading it to my desktop. I emailed Jason and he activated a new download link for within 10 minutes. Great customer service. Thanks. Great customer service and great guide. I had a problem downloading it to my phone. One email to Jason and within 10 minutes I had a reply. The questions are tough, but almost every single one of the questions they asked in my interview were in Jason’s book. No better way to prepare. It has a ton of questions. Like the other posters said, I’m not sure how you could buy this book and then have a surprise in your interview. Very pleased. I studied for two weeks and really had a strong interview. I got promoted after going over these questions for about a week. There are really a lot of questions in the guide and they seem to cover anything you could be asked. Best way to study period. I had a terrible interview last year and was not promoted. I found this guide after that interview and bought it. I have spent the last year reviewing and perfecting my answers to these interview questions. I have another interview next month, and am supremely confident. Studying for my interview was hard, this guide helped out tremendously. I had 10 questions and 9 of them were covered in this guide. Similar experience to everyone else, nearly all of the questions in my interview were covered in this book. Very easy to study and prep. I had 11 interview questions and 10 of them came our of this book. Really has a ton of questions and information. Helped me study a great deal. This book has a lot of questions that are challenging. I had 11 questions in my interview and 10 of them were covered in this guide. Great study tool. Similar experience to everyone else, this book covered almost every question in my interview. Worth it. Fantastic way to study, very happy. Very pleased with the book. It had almost every question that was asked in my interview. Purchased this book and studied for about a month. Almost every question the interview panel asked was in this book. Pleased and happy with my performance. Very helpful and informative. Easy to study and prep with. I liked the book and it was easy to study. I emailed Jason for some help with a question and he provided me several alternative ways to word my answer. Very helpful. My iPad had trouble downloading which was my fault. I emailed Jason for help and he replied in less than 5 minutes. He assisted me in downloading to my iPad and my laptop. Excellent product and fantastic customer service. Very pleased with the book I mean it has just about everything they could possibly ask you. Huge number of interview questions, best way you could possibly prepare. Very good book. It covered 8 of the 9 questions that were asked in my interview. I ended up getting promoted and couldn’t be happier. 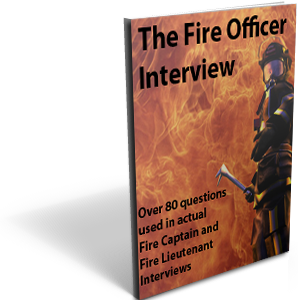 This is a great way to prepare for a fire lieutenant interview. I liked the book because it gave me a target to shoot for during my preparation. It’s so hard to guess what they will ask, but this book helped me to streamline my studying. I had a download issue but Jason replied to my email literally within 2 minutes. Top notch customer service. Good product. Very pleased with the book and the interview questions in it. It made studying quick and painless. Excellent customer service, Jason responded within 5 minutes to an email question that I had. I accidentally erased my book off of my kindle. I emailed Jason and he responded very promptly with a new copy of the book. Top notch customer service. I posted my comment on the other link as well, but I wanted to follow up here so you all know my experience. My interview had 12 questions and 11 of them were directly out of this book. Jason also emailed me numerous times to help me formulate better answers for my department and our circumstances. Top notch customer service and products. This book was a huge help for me and my preparation for the interview. Almost every question I got asked was in this book. Very pleased. I had a great interview. Jason and I emailed back and forth a few times debating some different ways to answer a couple of questions. Ultimately we arrived at a great way to answer them based on my department. I can’t say enough about his commitment to help me. Just wanted to follow up and say I was thrilled with the quality and depth of these interview questions. They helped me in my preparation for the fire captain interview very much. I had a problem downloading to my kindle. Jason responded to my email in about 5 minutes and showed me how to import correctly. Thanks and great book. Great way to study for a fire lieutenant interview. It has a ton of great questions and talks about how to answer them. It really helped me formulate my answers. My interview was great! I liked the book, but the customer service was very impressive. I am too dumb to put this on my kindle and ipad so I emailed Jason. I had a response in less than 5 minutes and he walked me through the entire process. The book was very helpful and detailed. Very good customer service. I had no idea how to import into my nook reader. I sent an email and had a response within 5 minutes!! Top notch! This really helped me work my way through the scenario questions on structure fires. Good book. I enjoyed the book and felt very prepared going into my interview. The panel asked me 8 questions and 7 of them were covered in this book. Happy with the purchase for sure. I received the book within 30 seconds of purchase. Pleased with the content and had a great interview. Thanks! I had trouble moving the book to my nook reader, Jason replied to my email within 10 minutes and walked me through the process. Great customer service! Pleased with the book. It really helped me to verbalize my answers better and present with more confidence. Fabulous book and really a great way to study. You are walked through how to generate your answers. It’s almost idiot proof. This is by far the best purchase I have made in my fire service career. I really struggled with my interviews getting hired and getting promoted to engineer. I bought this book and it helped me answer the questions for my Lieutenant interview drastically better. Thanks a million. Very pleased with the book and the customer service. This book has 9 of the 10 interview questions that I was asked. Excellent way to prepare for the fire lieutenant interview. Excellent customer service and support. I had a couple of my own ideas about questions and they worked with me perfecting my answers. Fantastic experience. Really great study material. Customer service is top awesome. great experience and great product. Loved the book and the guys really did a great job helping me with the download. Absolutely the easiest and best way to prep for an interview. This book had every question they asked during my interview.